Article written by Bike Exif about CRD49 Cafe Racer. Sensible isn’t a word you’d normally use to describe a custom motorcycle. 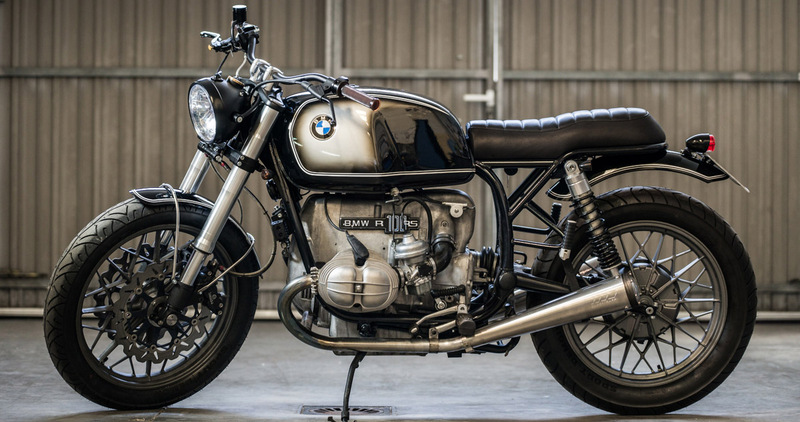 But as this BMW R100RS from Cafe Racer Dreams proves, sensible doesn’t have to mean stale. It can also come with a hefty dose of style and desirability. 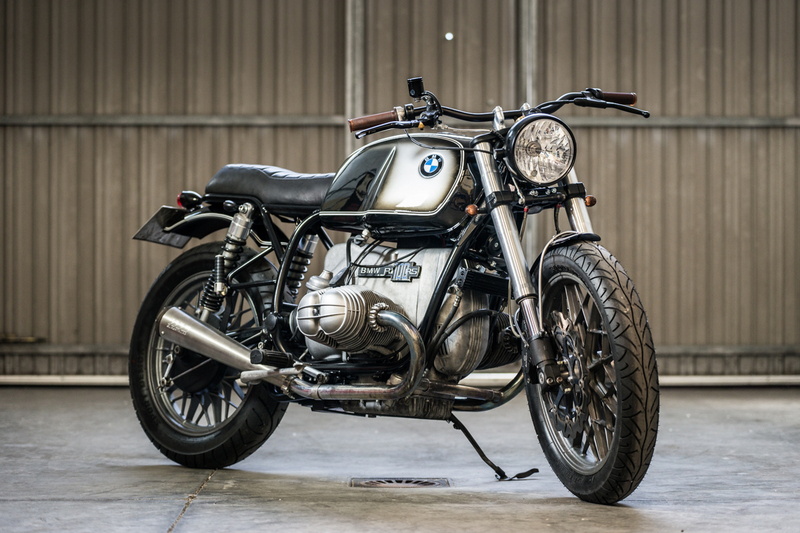 BMW’s classic R100 is sorely lacking in the suspension and braking departments by modern standards—so that’s where Cafe Racer dreams focused their efforts. A Ducati GT 1000 front end was grafted on. This included not only the GT’s upside-down forks, but its dual disk Brembo brakes as well—linked to an Aprilia RSV Mille master cylinder. The GT also donated its rear shocks, and Pirelli Sport Demon tires were fitted for maximum grip. After ditching the bodywork Cafe Racer Dreams fabricated a new subframe, with a well-padded seat, and new fenders. They also made a bespoke brace to mount the front fender to the upside-down forks and a super-neat headlight bracket. The RS has been completely rewired, with switches and a speedo from Motogadget—the latter mounted in a 7” headlight from CRD’s own online store. Other catalogue items include the tail light, turn signals and grips; along with low-n-wide bars from Renthal and silencers from Supertrapp. Now that it’s complete, CRD49 Cafe Racer is headed to its new home in Barcelona. With great proportions, stunning looks and improved handling, don’t you wish it was headed to your garage instead? Follow this link if you would like to read the full article on Bike Exif. 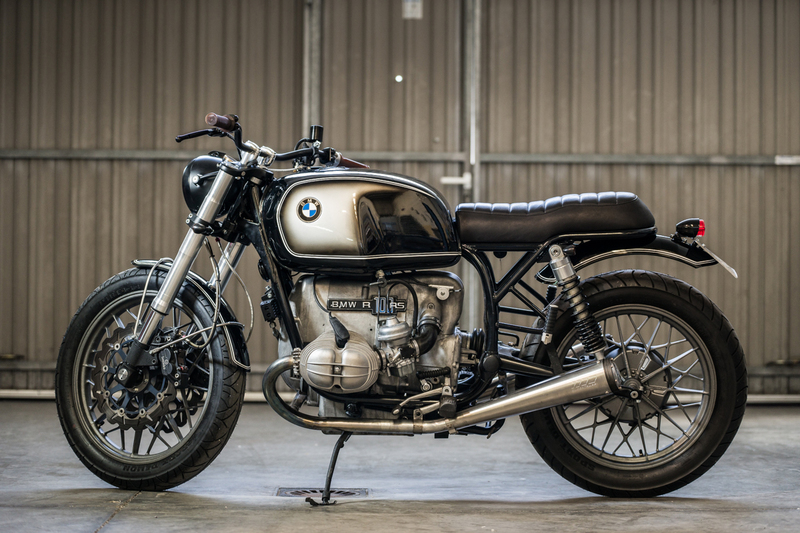 Click here if you would like to see more pictures of BMWs commissioned by Cafe Racer Dreams.